I found this recipe on www.elanaspantry.com a while ago and it was on my list of things to try for quite some time now. Ever have those recipes in the back of your head that you know you want to make one day and you never seem to get around to it? Then when you finally get to make it you think; why didn’t I try this before? Well, this was one of those recipes for me. 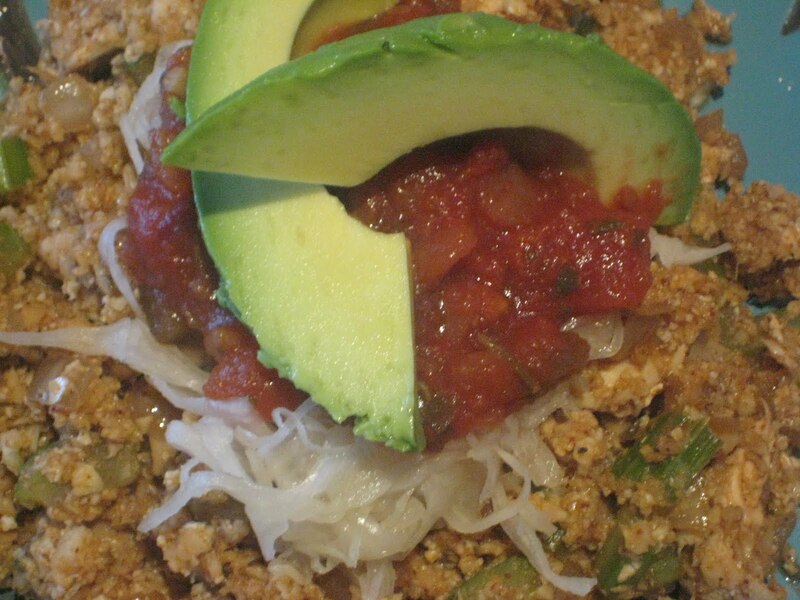 It was simple to make, light, packed full of nutrient rich veggies and the best part….it tasted great! The best part is that it is a great way to slip in some veggies to your kids, partners or other family memebers that give you a hard time with vegetables, without them knowing. If you have one of those recipes on your “want to make list” let this be a reminder to make it!! Just try it! You may find a new family favourite! I did!! • Folate – supports red blood cell production, important for cell production and helps your nerves function properly. • Fibre – Great source of colon cleansing fibre; 12 grams per 100 calories of cauliflower! Wow! 5. Add the cauliflower rice to the skillet and cook for 5 minutes or so. 6. Add in a bunch of chopped kale, seasonings, tamari and cooked chicken and cover until kale is lightly cooked. 1-2 minutes. 7. Scoop some into a bowl and top with your favourite fixin’s. Vegetarian option = top with black beans and omit the chicken!